We work with migrant labourers who travel from the foothills of the Himalayas to the Kathmandu Valley to make bricks. During the dry season the families live in temporary huts with no electricity, sanitation or clean water. 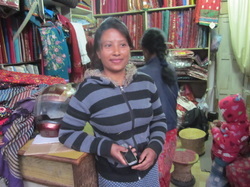 We work together with our partners in Nepal, Kopila Nepa, who are a registered NGO recognised by the Nepalese government. We also have partners in Belgium who share our vision. 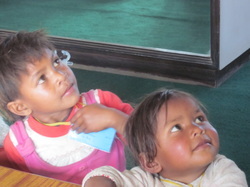 Together we provide a school/community centre and we employ trained Nepalese teachers to deliver our programme. In the UK we are a registered charity (1097055) run by unpaid volunteers. There are no office overheads so every penny we raise directly benefits the children.